Travelling is different when you are an aviation enthusiast. While some are looking for the best places to eat, researching nightlife, trying to list all the must-see places, I am browsing the internet for something else. I like travelling through new airports, I enjoy visiting local aviation museums and I always hope I will get to sit in an aircraft I have never flown in before. 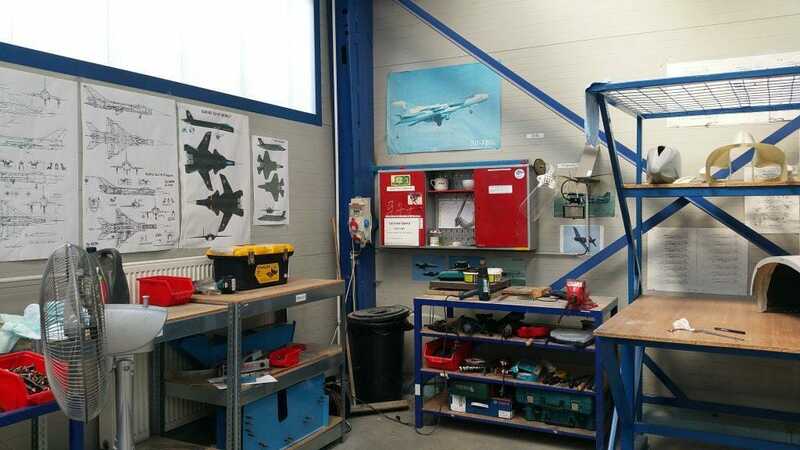 However, my latest trip to Slovakia beat all of that, because I got the opportunity to visit an actual plane factory – a place where Skyper GT9 and Viper SD-4 ultralights and EASA certified Viper SD-4 RTC are born. Visiting industrial sites is not for everyone and I fully understand people who don’t see any value in it. However, I, for once, had never been to any plane factory before, so I was very excited about this opportunity. I wanted to see how a mass-produced ultralight plane is made, what processes does it go through, how are they controlled, what drives the design decisions. So I was really glad I got to visit Tomark Aero – Prešov, a Slovakia based airplane factory. 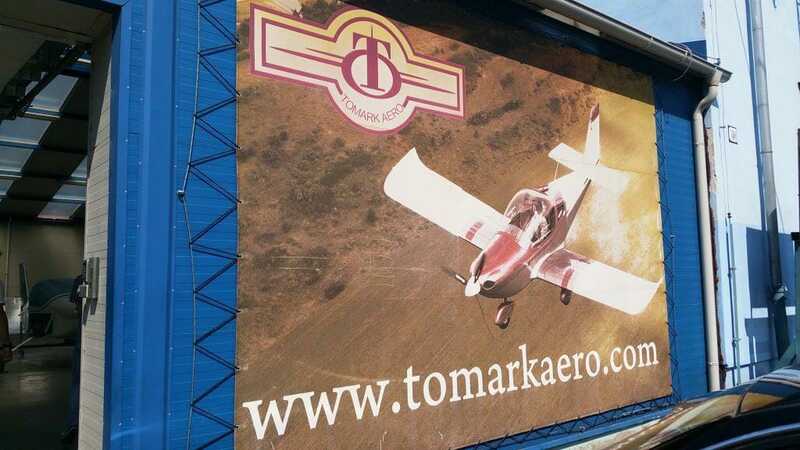 Tomark Aero is actually part of a bigger company, called TOMARK. Its main business is metal working: manufacturing trailer subassemblies, pressure vessels and a number of other metal components for the heavy industry and agriculture. The CEO of TOMARK has been an aviation enthusiast for years, so one day he decided to form a team that would create the perfect plane for him. Long story short, the design was so good that soon the decision was made –Tomark Aero had to make airplanes for sale. Tomark Aero factory is located in Prešov, Slovakia. Viper SD4, the company’s first plane, took off for its maiden flight in 2006. It is a low-wing two-seater – a quite athletic design from where I’m looking. 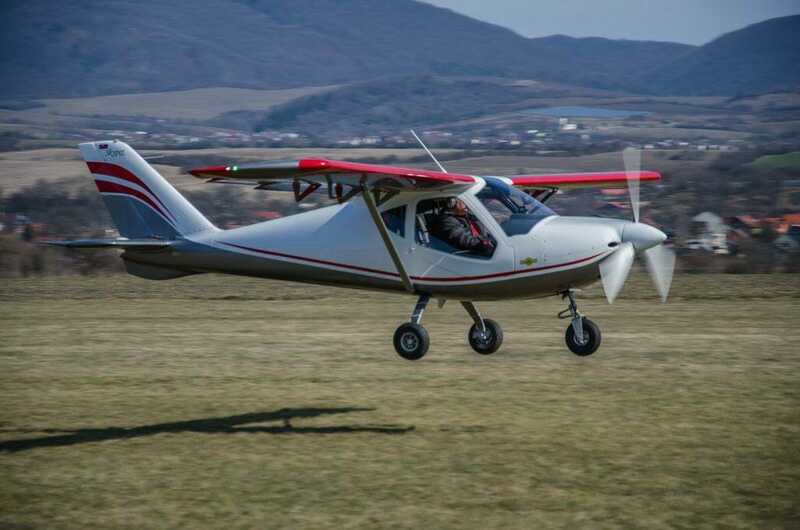 The second plane, the high-wing Skyper GT9 took off for the first time in 2014. It is a faster, more touristic type of a plane, but more about the differences between the two models later. Viper – is a low-wing two-seater – you can easilly recognize it by its wingtips. I had never been to a plane factory before so I didn’t really know what to expect. Somehow in my head I pictured almost a laboratory setting with people rushing to complete their tasks in time and partially assembled airplanes moving along on a conveyer. 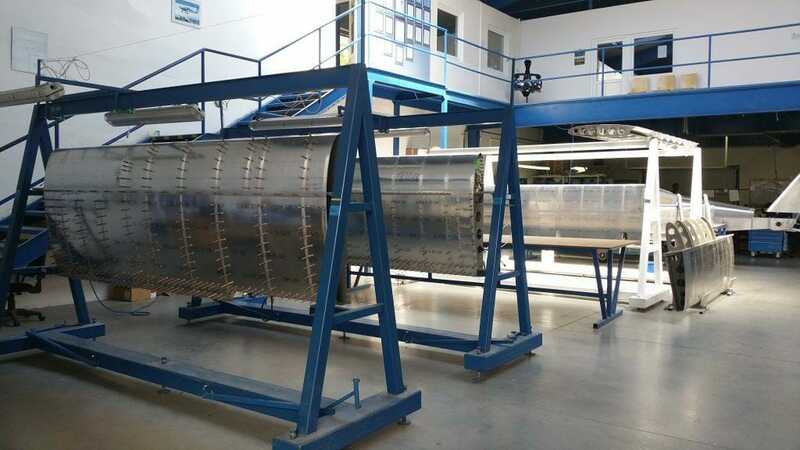 Obviously, that couldn’t be further from the truth as we found out getting a personal tour guided by Tomak Aero airworthiness specialist Robert Benetin. Skyper is a high-wing model. It is not just the placement of wings, it is an entirely different airplane. I wanted to see the entire process of the airplane build so the tour started in the point where both TOMARK businesses meet. Sheet metal (mostly aluminium and stainless steel) is cut into shapes using an industrial laser cutter – the exact same machine is used to cut out parts for the trailer subassemblies. The laser cuts out all the holes, so that workers in the assembly line would not have to drill or cut anything. That is pretty much the only area where these two industries meet in the entire site. Interestingly, Tomark Aero always stocks up on parts, so that the manufacturing process would not be hindered by shortages. Entering into the factory you see an unfinished Viper. Then these flat parts are deburred and bent into shapes using other machines. Later they form all the needed components for the structure of the plane, including beams for the monocoque construction of the front part of the fuselage of the Viper SD4. 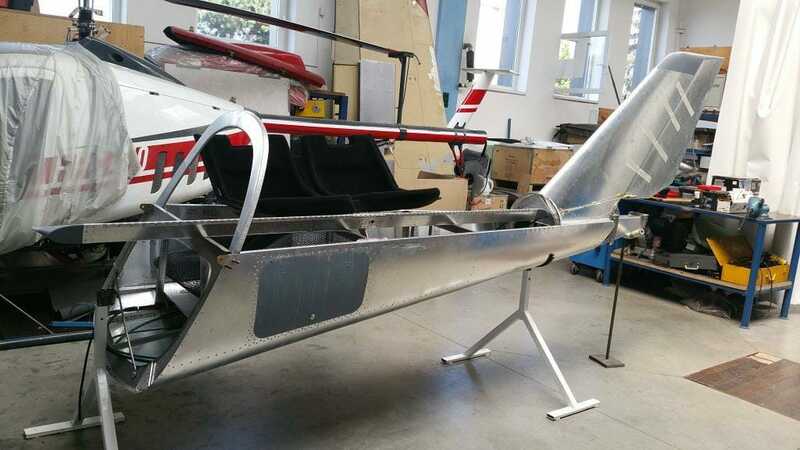 The Skyper GT9 is a little bit different, since its front fuselage is actually constructed from thin steel tubes – a common architecture for this kind of plane. This is where the engine is fitted. You can see the bare metal construction of the Viper. Of course, before any of these parts get put together to form the basic structure of the plane, they are coated against corrosion and marked so that the assembly line workers would know which part goes where and what process it has to go through. Both Tomark Aero models are basically fully metal, so there are a lot of different parts. I was surprised to see how controlled the process is and to find out that quality check-ups are done at each and every stage. You can simply feel these people love aviation. 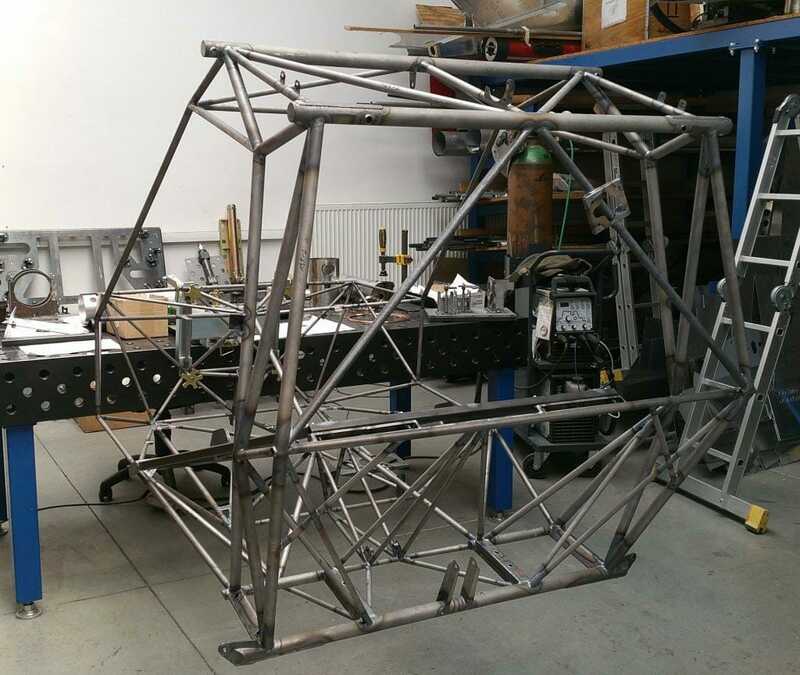 When the basic structure is assembled, the engine is installed on a special frame at the nose of the plane and workers start putting the wiring in. 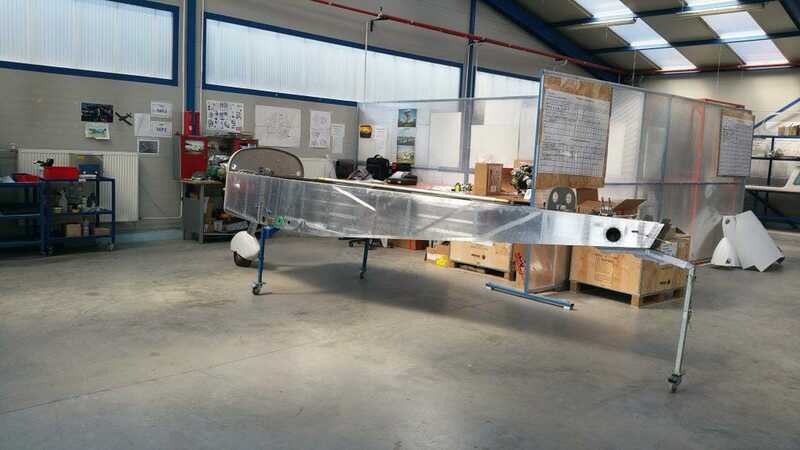 That is a very meticulous task, because not only engine controls have to be installed, but also cables for avionics, whole-plane parachute for emergency landing, fuel tanks switch and many other devices. After that, the outside layer of aluminium is riveted on and the basic shape of the plane is complete. In the main assembly room the wings of Tomark Airplanes are finished and stored before installation. At the same time, the wings are being made – also fully metal. Skyper GT9 has slightly thinner wings, but both airplanes have fuel tanks with pretty much the same capacity. Interestingly, Viper SD4 has nice wingtip devices, with a gentle curve going up and back. They are made from composite materials and serve to reduce aerodynamic drag, but, at least for my eyes, they make the entire plane look much more elegant. When the plane is partially assembled it is time to put it into the paintshop. 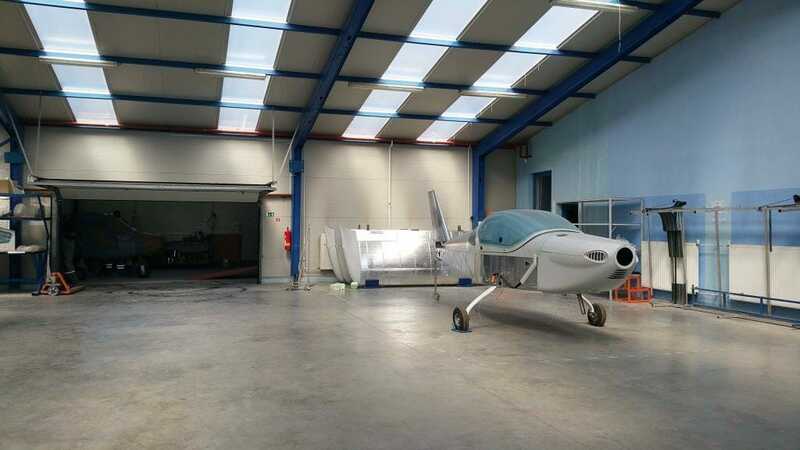 Tomark Aero has the biggest closed paint booth in Central Europe. Clients can choose from a selection of paint schemes, but, if they think nothing in the catalogue represents their taste, they can opt for a custom paintjob. Viper with its canopy and engine cover in place. Then the airplane is taken to a nearby airfield for final assembly and flight testing. 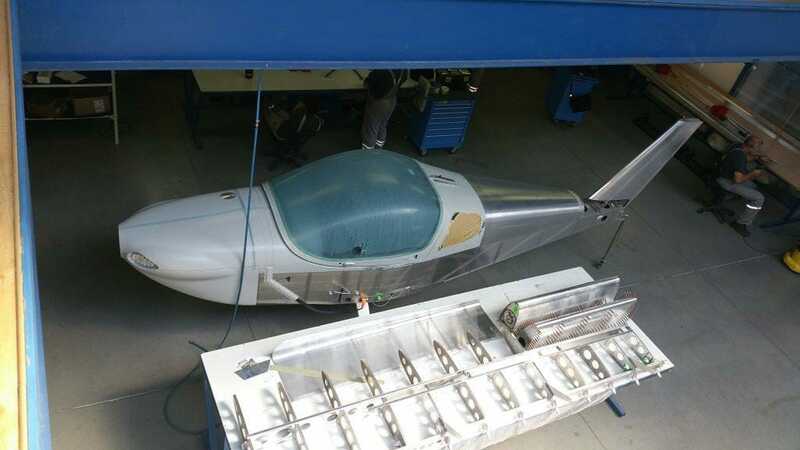 At first, the plane is finished – all devices are installed, seats, cabin upholstery are put in and temporary number for testing is pasted onto the fuselage. Initial testing is done on the ground – quality control experts look over the entire airplane checking for defects. Then all controls and avionics devices are inspected and after that the plane is prepared for its maiden flight. 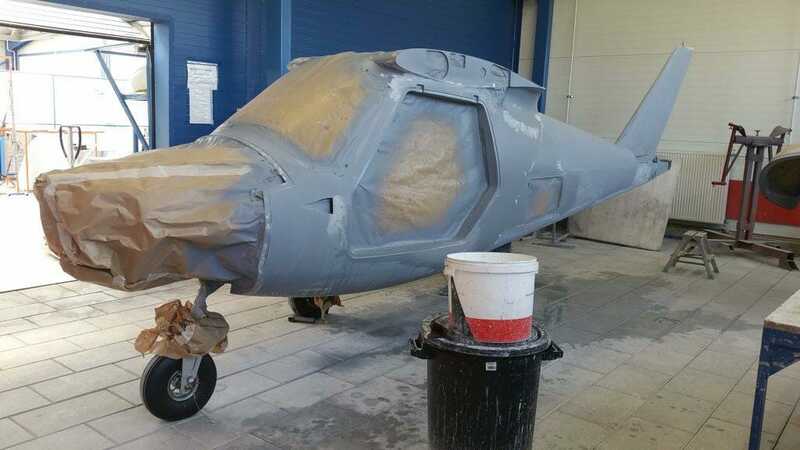 Preparation for the paintjob – planes are painted in-house and customers are allowed to choose whatever paint schemes they like. This job belongs to a test pilot. He follows instructions about what manoeuvres he has to do in the first flight and registers all the defects if there are any. Then they are immediately corrected so that the customer would get his/her plane in perfect condition. Tomark Aero planes have an emergency landing system – a parachute that shoots out of the plane in case of a technical problem or other potentially catastrofic issue. Finally, when the customer decides to ship his/her airplane to aforeign country, the wings are taken off, the plane is packed into a crate and shipped to its owner. It is also possible to fly-over finished airplanes directly to the customers and there is also the option to pick-up the airplane at Tomark Aero test airfield. It typically takes around four months from order until delivery, but, in some cases, Tomark Aero can deliver an airplane quicker – stocking on parts allows for some flexibility in manufacturing time. Delivery time also depends on the customer paint-job scheme, whether it is one already available or if it is customized. Skyper’s cabin is constructed from tubes. Both Skyper GT9 and Viper SD4 look mighty impressive for an outsider like me, but how do you chose which one to buy? Tail structure of the Skyper. 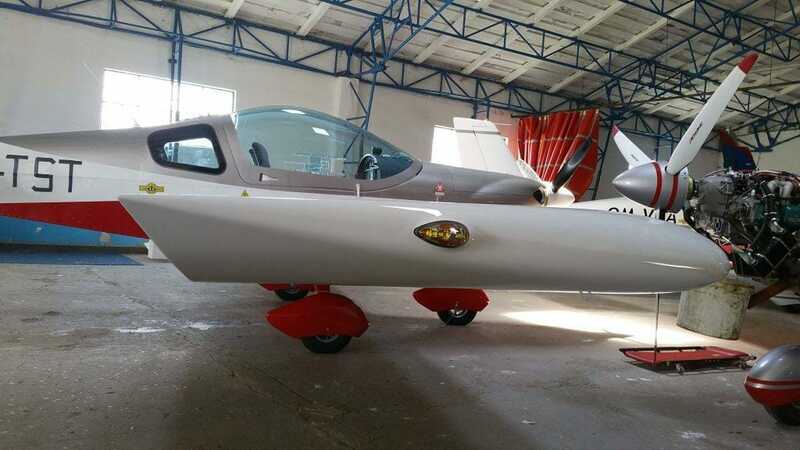 Skyper GT9 is a high-wing airplane, designed mostly for touristic-type of flying. 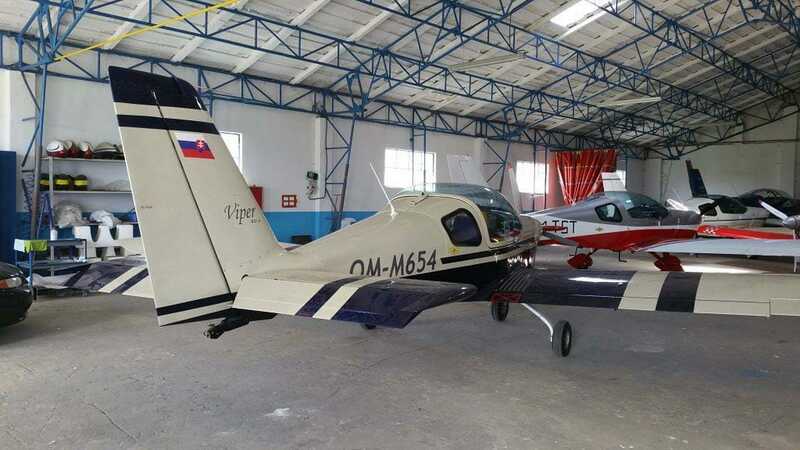 Because its wings are mounted on the top of the fuselage, the ingress is simple, the luggage compartment is easily accessible from the outside and the plane sports an impressive performance. Meanwhile, the Viper SD4, although a bit slower, is a more robust airplane, which will appeal to more passionate pilots. 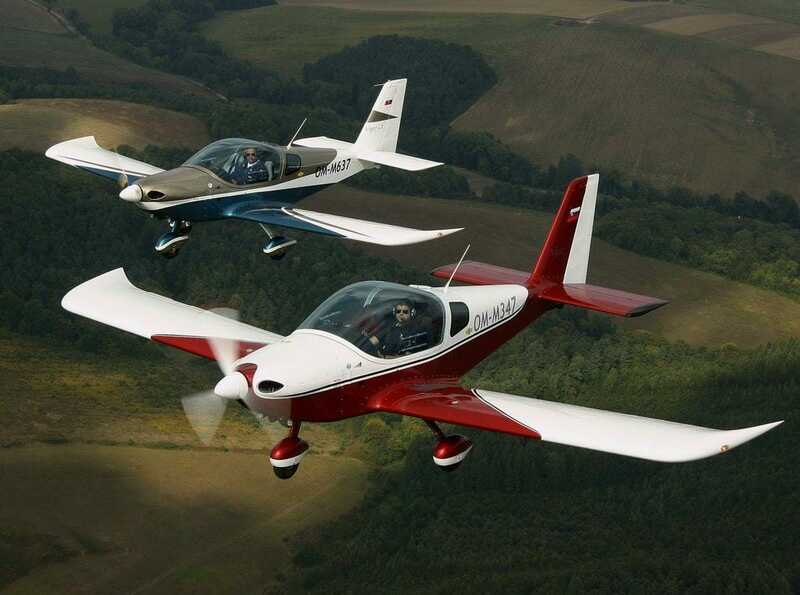 It is more athletic looking and it is EASA certified to be used in pilot schools – that is a big part of its appeal. In LSA specifications both planes are heavier (maximum weight reaches 600 kg), which means that a bit-longer runway is required. Also, instead of the 70l fuel tank LSA specified the Skyper GT9 and Viper SD4 get 100-litre fuel tanks. In short, Skyper GT9 is easier to use and maintain and to live with. It is also faster than Viper SD4, although a little less rigid. Meanwhile, Viper SD4 is a sportier airplane. It is strong, reliable and looks good. It is also very easy to fly – a perfect choice for pilot schools. Viper SD4 can be also used as a great towing machine for gliders or banners. Ideal for flight clubs. Wingtips of the Viper look very elegant, but are also functional – they reduce aerodynamic drag. By the way, I asked about the safety record of these planes. This really not-polite question was met with a smile – while there have been several crashes, none of them were caused by mechanical faults nor factory defects. It is the first airplane factory I’ve ever been to. While I was expecting a busy and almost laboratory-like setting, it was much simpler – just an industrial site where everyone fulfils their functions. There are no robots as far as I could see and every plane was caressed by human hands on every step of the way. Kind of a romantic image, to be honest, but it is very technical. Assembly is completed in a nearby airfield where flight testing is done as well. Everything regarding the airplane manufacturing is done to the highest possible standards. The quality control is meticulous and watches over every airplane at every stage. However, make no mistake – Tomark Aero airplanes do have some passion about them. They appeared in this world because the CEO of the company simply loves aviation and this sense is visible throughout the factory. I saw posters with fighter jets in one of the stations where the cabin and interior get installed – these people just love what they are doing. And I loved visiting the factory, learning a lot about manufacturing of ultralight airplanes and seeing these birds before the wind touches their wings. Huge THANKS to Tomark Aero for allowing us to visit their factory. Definately visit their website – Tomarkaero.com. Planes age differently than most other things. While a 10 year old car is really not in its prime anymore, an airplane at that age is still considered pretty young. And technology is not progressing that fast – our beloved Boeing 737 took off for the first time in 1967 and it is still going strong. But, even in this context, the largest NASA’s cargo plane seems a bit old – it can trace its roots to a legendary WW2 bomber. 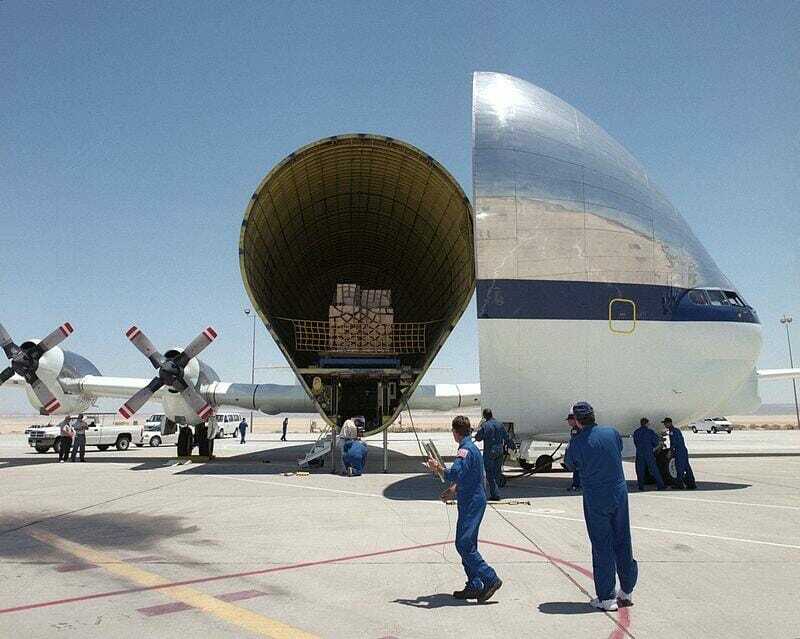 NASA definitely needs a good cargo plane. Not only rocket modules are big in diameter, but also laboratory equipment has to be carried from one place to another, sometimes in one piece. 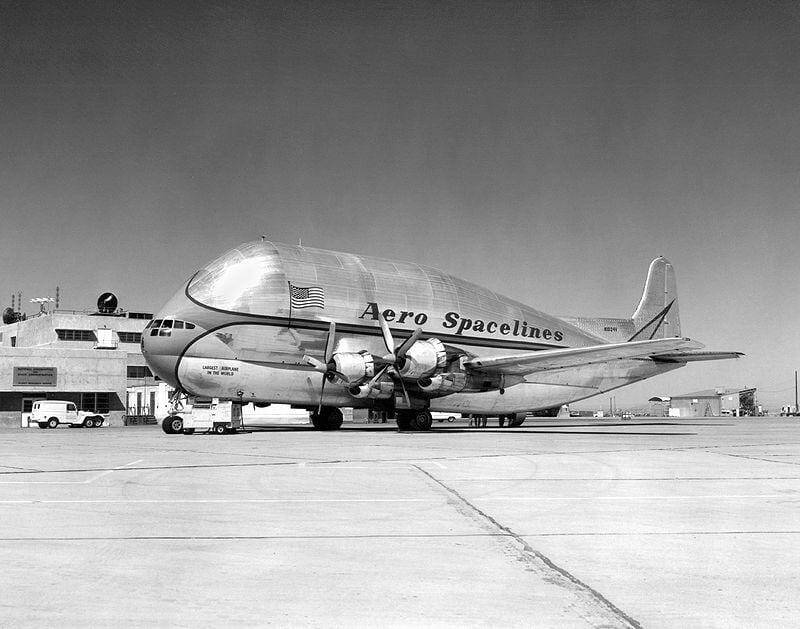 That is why Aero Spacelines made a Pregnant Guppy, which took off for the first time in 1962. It was a ballooned Boeing 377 Stratocruiser and looked pretty much like a whale. While the Pregnant Guppy was very useful in the initial stages of the Apollo program, it soon became clear that an airplane that was a bit longer would be preferred. And so it was built using the Boeing C-97 Stratofreighter and the Boeing 377 Stratocruiser as a basis. Interestingly enough, the C-97 was actually a derivative of the famous B-29 Superfortress bomber, which was the one dropping the atomic bombs in Japan during WW2. The Super Guppy took off for the first time in August 1965. It was exceptionally large, although it resembled the Pregnant Guppy a lot. It had a distinctive balloon-shape cross section, because only the upper part of the fuselage was enlarged. 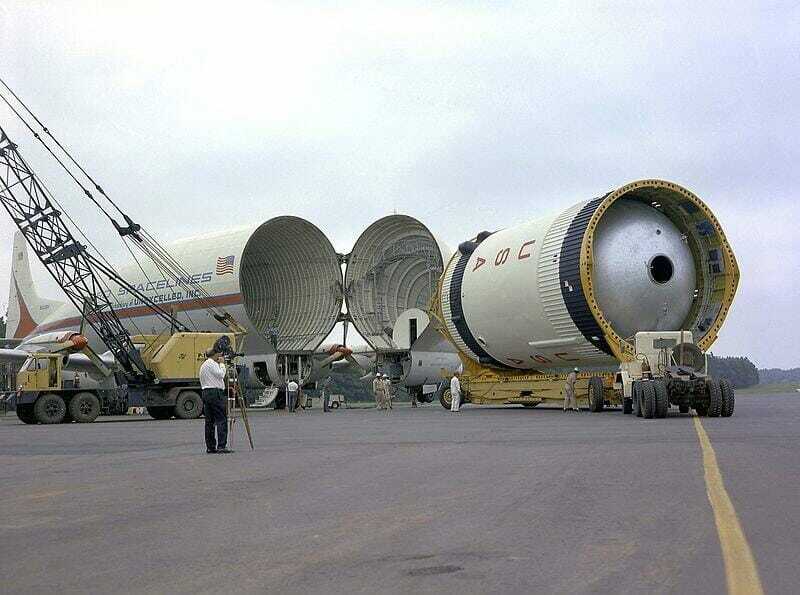 The Super Guppy was easily large enough to fit separate parts of rockets as well as large modules from the Apollo and subsequent programs. It was so useful that soon it was decided that some other C-97 bombers could be transformed and one Pregnant Guppy was used up as well. In total, 5 Super Guppy airplanes were built. You probably have seen the Airbus Beluga and Boeing Dreamlifter cargo airships. They are somewhat similar to the Pregnant Guppy and Super Guppy and it is not a coincidence. 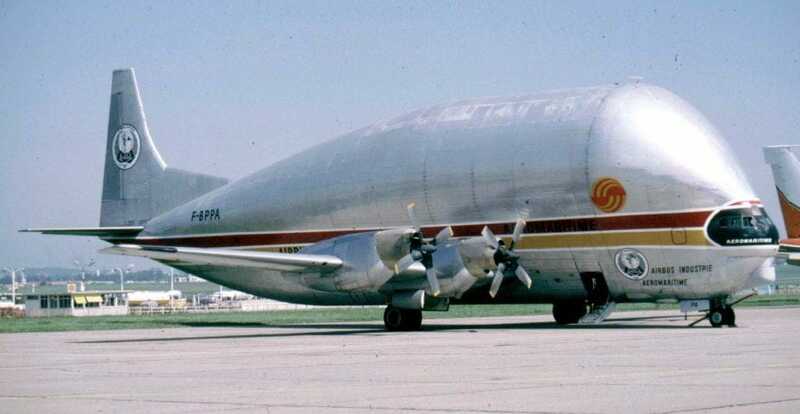 At some point, Airbus bought the rights to the Super Guppy and used a couple of these airplanes for its own logistic operations. And Boeing was also interested – after all, it was Boeing’s aircrafts that were used to create the guppies. 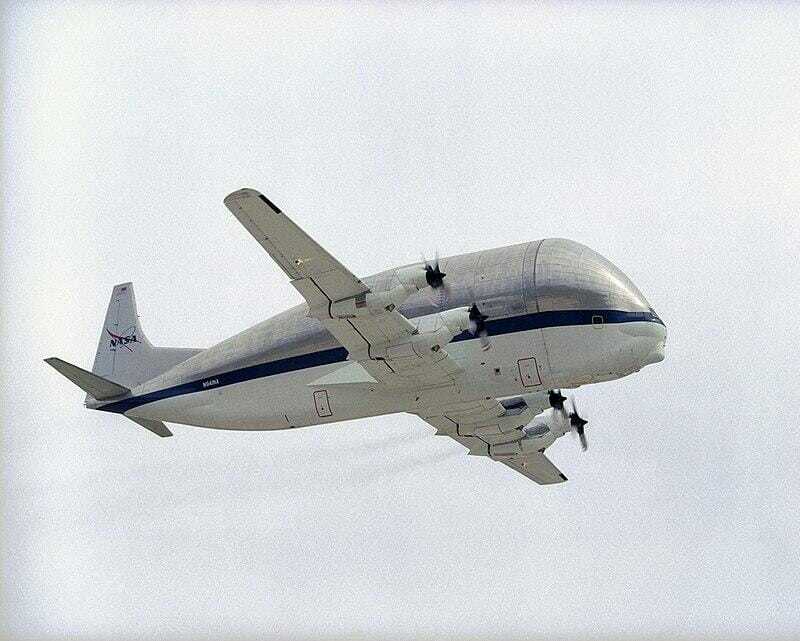 Nowadays, only one Super Guppy is still flying and it belongs to NASA. It was originally registered somewhere around 1983, but it is still a very old design. C-97 Stratofreighter is out of production since 1958. Super Guppy is powered by four turboprop engines. It is actually quite unusual to see a plane with propellers carrying the latest NASA inventions today, but it is dependable, so why would they retire it? The wingspan of the Super Guppy is 47.6 metres, length – almost 44 metres. It is not its size, however, that is so impressive, but its capacity – it can carry 24.7 tons of weight. Despite being quite old, it is probably going to remain in service for the foreseeable future because it is just that useful. Who knows, maybe it will still be flying when humanity will decide to lay its foot on Mars. 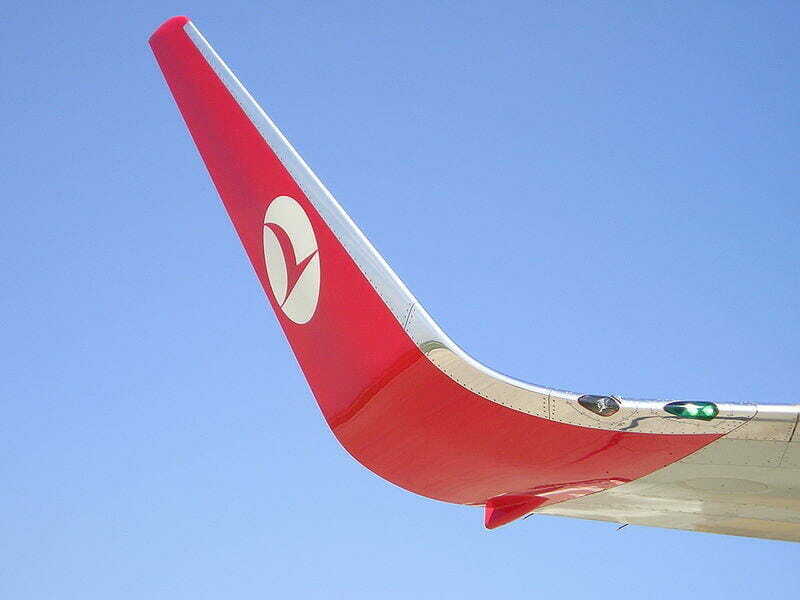 Why the wingtips of airliners are curved up? Have you ever wondered why the wingtips of some airplanes are curved up? These special devices, called winglets, are actually quite important and now there are several different types of them. Here’s what they are designed to do, when they were invented and how different types of winglets look like. Before we get into winglets, you have to know something about aerodynamics and what plane wings do. Lift is generated by the difference of pressure created under and above the wing. Higher pressure accumulates on the bottom of the wing and makes air move outwards, where at the end of the wing it meets a lower pressure zone. That is how vortexes are created – these tiny tornadoes at the wingtips of the plane, which you can sometimes see in movies and videos. They may not look like much, but they are really bad for a couple of reasons. Firstly, they represent loss in efficiency – it is basically drag that you can see. Secondly, wingtip vortexes can be strong enough to cause problems for the airplanes that are following. So how do you combat them? With winglets, of course. They allow smoothing out the airflow at the wingtips, reducing drag and improving efficiency. It means that the plane can fly faster and a glider can glide further. Furthermore, winglets allow generating more lift without increasing wingspan. So it is a big win all around, which is why you see winglets on pretty much all airliners nowadays. The first patent for a simple winglet design was filled in 1897 – even then people already knew that these vortexes are no good. A functional design appeared in 1910, but these devices really took off in the Second World War, when they were tested in the Messerschmitt Me 163 jet fighter. 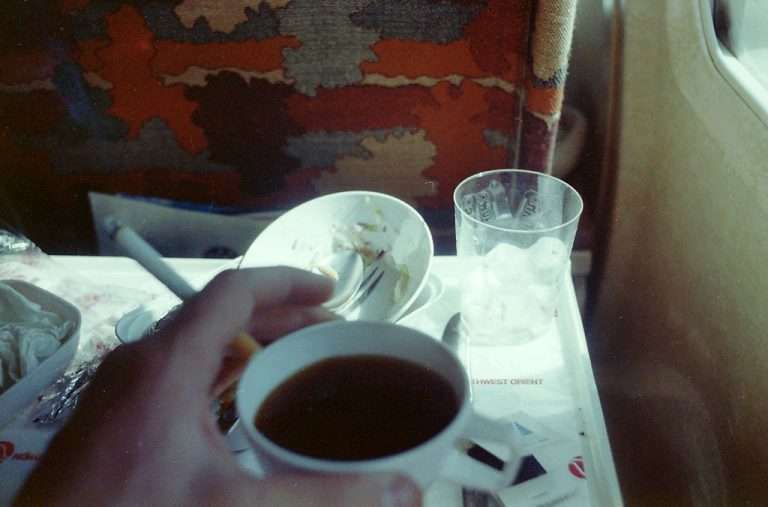 However, they were not curved upwards – these winglets, later named Hoerner wingtips, were going straight down. Sighard F. Hoerner was the scientist who in 1952 proved the effectiveness of downwards winglets. Another research, published in 1972 by Richard Whitcomb, a NASA scientist, proved that wings with winglets are as much as 20 % more efficient. 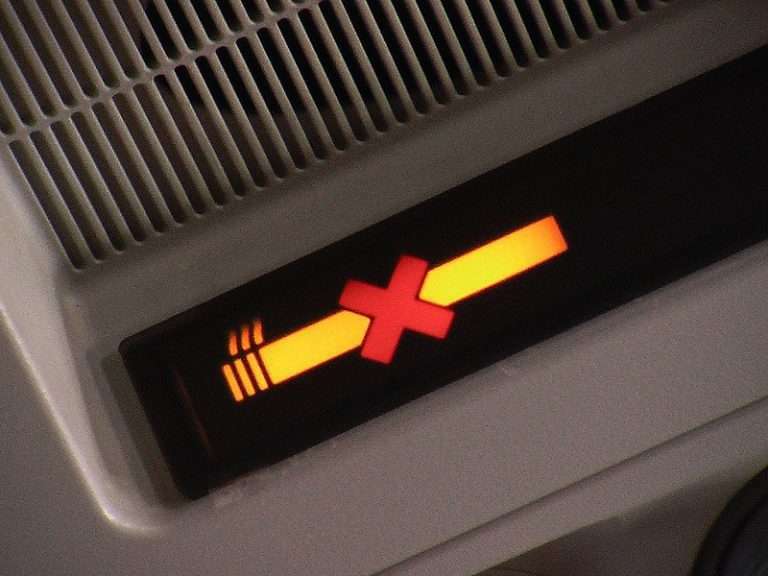 That is basically why most airliners have them now. 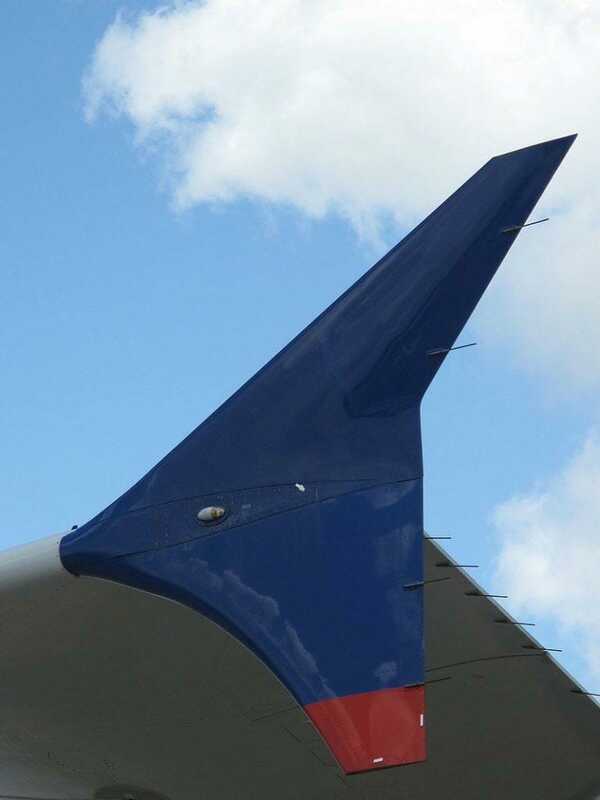 However, not all winglets are the same. The one that curves up smoothly is called a “blended winglet” – that is probably the most common one or at least the one that attracts the most attention. Then there is the wingtip fence – a vertical panel finishing the wing – those are usually smaller and not as pleasing to the eye. The Boeing 787 Dreamliner has a special kind of wingtips – they curve back instead of up or down – it is called “raked wingtip”. In this case, the wingspan is a bit larger, but vortexes are avoided equally well. 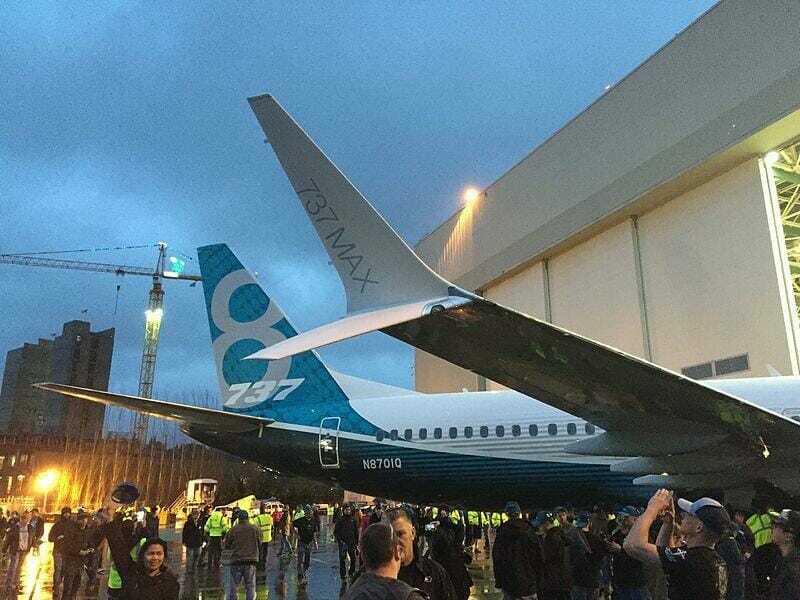 Finally, the 737 MAX uses somewhat of a hybrid design – winglets curve nicely upwards and downwards. Interestingly, wingtip devices are used in rotors and propellers too. However, they are quite a bit smaller and not as easy to see. Usually, propellers have raked wingtips, but sometimes winglets can be seen too. Some fans have been manufactured with winglets, but experts doubt that they have any benefits. Now you know. Next time you’re flying somewhere you will be able to tell a random stranger that the winglets reduce drag by minimizing the formation of wingtip vortexes. They certainly will be thrilled to know that this makes planes faster and more efficient – that is such a not-annoying way of making friends. Posted in Technology and ScienceTagged airplanes, aviation, WingletsLeave a Comment on Why the wingtips of airliners are curved up?